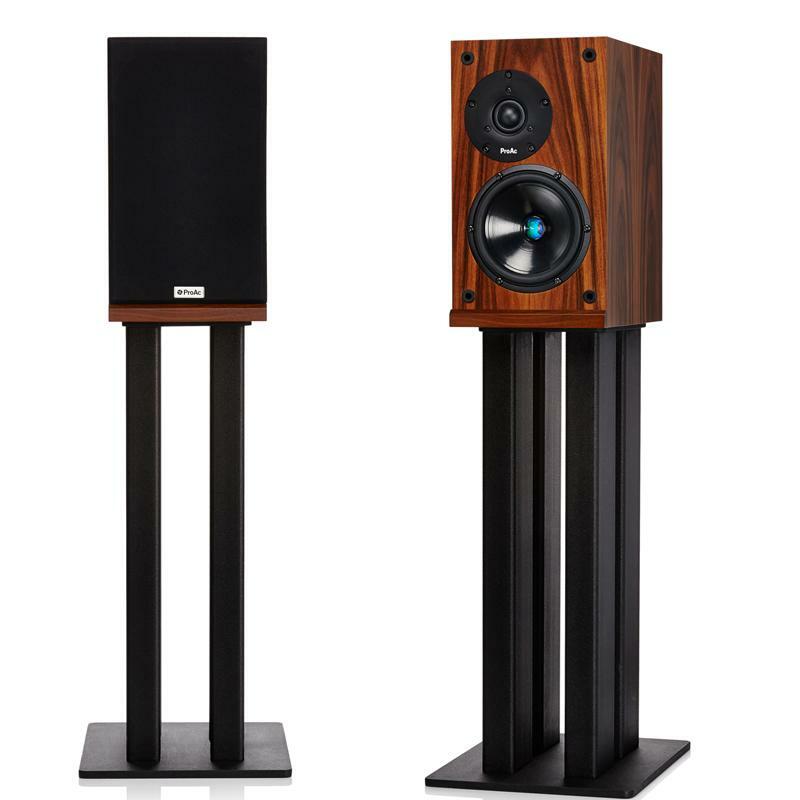 Small mini monitor type loudspeakers have become very popular for those wishing for a high quality sound with a minimal visual effect. Although the mini monitor type speaker can be quite accurate and indeed sound better than many bigger loudspeakers, which obviously have not been made with the same care, the Achilles heel of a small loudspeaker is the bass extension and sound stage size. A big loudspeaker can produce low octaves and give you a large sound stage ideal for large orchestral and high level rock; however they can dominate the listening room visually. ProAc have set out to try and achieve in a small speaker a sound normally associated with a larger speaker particularly in the bass response. The DB1 cabinet is slightly larger than the previous model; the cabinet is made from different thicknesses of high density MDF and further damped by bituminous damping to control cabinet resonance. A newly designed long throw bass driver with raised spider and linear motor system was used and ported at the rear. The cone is made from mikapulp which is then elastic coated and fitted with our ProAc acrylic pole damping phase plug. The new crossover was designed to give a flatter response at high levels and the tweeter is a ProAc 1 inch silk dome similar to that used in the ProAc Response D2. The midrange and high frequencies of the DB1 are superb and in the ProAc tradition low in colouration and high in detail. The new bass driver gives a wonderful bass quality, punchy and extended and some way towards a larger enclosure. The DB1 also gives a larger sound stage normally associated with bigger enclosures.